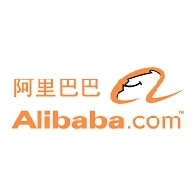 Alibaba Group is a global e-commerce leader and the largest e-commerce company in China. Since it was founded in 1999, Alibaba Group has grown to include the following core businesses: Alibaba.com (HKG:1688), Alibaba Group's flagship company and the world's leading B2B e-commerce company; Taobao, China's largest Internet retail Web site and a one-stop platform for shopping, socializing and information sharing; Alipay, China's leading third-party online payment service; Alibaba Cloud Computing, a developer of advanced data-centric cloud computing services; and China Yahoo!, one of China's leading Internet portals. Costco Wholesale Corporation (NASDAQ:COST), America&apos;s leading membership-only warehouse club that provides a wide range of quality, brand name merchandise, today announced it will enter China for the first time through the opening of an online flagship store on Alibaba Group&apos;s (HKG:1688) Tmall Global platform, an extension of Tmall.com, China&apos;s largest third-party platform for brands and retailers. The Breakthrough Prize in Life Sciences Foundation announces that Jack Ma, the prominent Chinese Internet entrepreneur and founder of Alibaba Group, and his wife Cathy Zhang have agreed to join the Breakthrough Prize in Life Sciences Foundation&apos;s founding sponsors (Sergey Brin and Anne Wojcicki, Mark Zuckerberg and Priscilla Chan, and Yuri Milner). Yahoo! Inc. (NASDAQ:YHOO) and Alibaba Group Holding Limited today announced they have entered into a definitive agreement for a staged and comprehensive value realization plan for Yahoo!&apos;s stake in Alibaba. 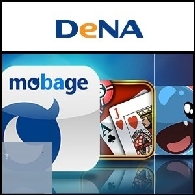 Asian Activities Report for December 15, 2011 includes: DeNA Co., Ltd. (TYO:2432) has agreed to form a strategic alliance with Alibaba Cloud Computing to provide DeNA&apos;s Mobage social gaming platform to consumers and developers in China; Marubeni Corporation (TYO:8002) has agreed to acquire a 40% equity interest in APT Allgas Energy Pty Ltd; Japan Airlines and WestJet Airlines (TSE:WJA), a low-cost airline in Canada have signed a codeshare agreement which will place the "JL" flight indicator on WestJet-operated flights between Vancouver And six Canadian cities - Calgary, Edmonton, Kelowna, Montreal, Toronto and Winnipeg, from December 15, 2011; Sumitomo Chemical Co., Ltd. (TYO:4005) and Nabaltec AG (ETR:NTG) of Germany have been in discussions about collaborating on their Alumina and Aluminum Trihydroxide businesses. Alibaba.com Limited (HKG:1688), the world&apos;s leading small business e-commerce company, today formally launched Fulfillment by AliExpress (fulfillment.aliexpress.com), a new logistics and shipping service provided by a third-party partner for buyers using the AliExpress (www.aliexpress.com) wholesale e-commerce platform. With Fulfillment, small businesses using AliExpress will be able to combine multiple orders into one cost-reducing international shipment, track those orders from China-based suppliers using a single online interface, and verify those orders at a central warehouse prior to shipment. Alibaba.com Limited (HKG:1688), the world&apos;s leading small business e-commerce company, today announced that it is investing in India, with the launch of its local customer service operations here to better serve the vast Indian small business community. Overnight the Wall Street was stronger after the bill overhauling the US healthcare system was passed. Asian stock markets were mostly lower on Monday as Reserve Bank of India unexpectedly increased the official interest rate by 25 basis points. The Indian central bank&apos;s move has raised fears of an earlier-than-expected rate hike in China. Hong Kong&apos;s Hang Seng Index fell 2.05 per cent and South Korea&apos;s Kospi was down 0.8 per cent. But Shanghai composite edged 0.2 per cent higher. Japanese markets, which were closed for public holiday yesterday, resume trading on Tuesday. China Eastern Airlines (HKG:0670), a leading carrier in China, has formed a strategic alliance with Alibaba Group&apos;s (HKG:1688) Alipay and Taobao subsidiaries to expand China Eastern&apos;s capability to serve more customers through e-commerce. Under the alliance, Alipay will provide online payment support for ticket sales on the China Eastern website (www.ceair.com). China Eastern will also launch a flagship store on Taobao&apos;s Taobao Mall to sell tickets directly to customers for all domestic flight routes. Alibaba.com Limited (HKG:1688), the world&apos;s leading business-to-business e-commerce company, today announced unaudited financial results for the quarter ended September 30, 2009, that show the Company&apos;s continued investment in customers is resulting in strong growth in customer acquisition, driving market leadership and future revenue potential. Alibaba.com (HKG:1688) the global leader in business-to-business e-commerce, and Macau Trade and Investment Promotion Institute (also named "IPIM") today announced a partnership, promoting e-commerce to more small and medium-enterprises (SMEs) in Macau. The signing ceremony of the partnership memorandum of understanding was held today during the 14th Macao International Trade and Investment Fair, organized by IPIM. Bestseller Fashion Group, member of the Danish Bestseller Group and one of the biggest clothing companies in China, has opened a flagship online store on Taobao&apos;s Taobao Mall, featuring Bestseller&apos;s popular Jack & Jones brand. Grameen Trust of Bangladesh and Alibaba Group (HKG:1688)(PINK:ALBCF) have joined hands to create the Grameen China initiative, an effort to provide micro-credit financial services to China&apos;s poorest residents to create income generating opportunities and help lift them to a higher standard of living. Alibaba Group and its majority-owned subsidiary Alibaba.com (HKG:1688) have entered into an agreement to inject the Business Management Software (BMS) division of Alisoft Holding Limited ("Alisoft") into Alibaba.com. Alisoft is a wholly-owned subsidiary of Alibaba Group. Bosideng International Holdings Limited (HKG:3998) Wins the "China Mask Award" For Three Consecutive Years And Named Among "2008-2009 Top 10 Most Competitive Enterprises in the China Apparel Industry"
China&apos;s largest down apparel company, Bosideng International Holdings Limited ("Bosideng" or the "Company"; HKG:3998, together with its subsidiaries the "Group") has won two major awards in the PRC on August 8, 2009. It has once again received the "China Mask Award" for three consecutive years at the 3rd China Brand Festival Award Presentation Ceremony. It was given the title as "Invincible General Delivering Stable Growth". 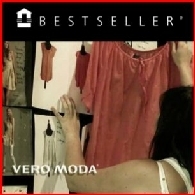 On a separate occasion, Bosideng was named amongst "2008-2009 Top 10 Most Competitive Enterprises in the China Apparel Industry" by China National Textile and Apparel Council ("CNTAC"). 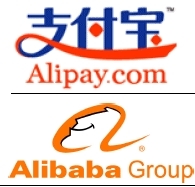 Alibaba Group (HKG:1688) and Bank of China Holdings Limited (HKG:3988)(Bank of China) today formed a long-term strategic alliance to collaborate on several e-commerce initiatives including online payment, international business cooperation, small business financing and joint marketing. Alibaba.com (HKG:1688), the world&apos;s leading business-to-business e-commerce company, is extending its Gold Supplier membership package to suppliers globally. The Gold Supplier international edition will offer all suppliers the same opportunity to market to Alibaba.com&apos;s eight million international registered users as its Greater China paying members have enjoyed. Alibaba Group (HKG:1688)(PINK:ALBCF) The global trade in green products is increasing dramatically, according to popular searches on Alibaba.com, the world&apos;s leading B2B e-commerce company. Alisoft, a wholly-owned subsidiary of Alibaba Group (HKG:1688), today announced that it will offer free Internet-based management software to all 42 million small- and medium-enterprises (SMEs) in China as part of the Group&apos;s ongoing effort to make it easy for SMEs to do business using e-commerce. Alibaba.com Limited (HKG:1688)(PINK:ALBCF), the world&apos;s leading business-tobusiness e-commerce company, announced its financial results for the year ended December 31, 2008. Alibaba.com Limited (HKG:1688)(PINK:ALBCF) The global trade in sports balls may have taken a dramatic bounce for the better because of the 2008 Beijing Olympics, according to data collected by Alibaba.com, the world&apos;s largest business-to-business e-commerce company. Taobao.com, China&apos;s largest consumer e-commerce company, reported today that its transaction volume (gross merchandise volume) reached RMB 99.96 billion (US$14.62 billion) in 2008, a 131 percent year-on-year increase. Taobao&apos;s transaction volume for 2008 exceeded the sales volume of China&apos;s largest mass retailer, and equals approximately 1% of China&apos;s total retail trade in 2008, according to statistics released by the Chinese Ministry of Commerce. Asian markets are expected to drop after the plummet on Wall St. On Friday Japan&apos;s Nikkei stock average lost 3.1 per cent, sliding on economic woes and a tumble by Toshiba Corp after it was hit by news it may merge part of its chip operations, a loss forecast, and a ratings cut. The benchmark Hang Seng Index closed up 123.78 points, or 0.94 per cent, at 13,278.21. The Shanghai and Shenzhen stock exchanges open today after the week-long Chinese New Year holidays. Taobao, China&apos;s largest consumer e-commerce company, today announced that its parent company, Alibaba Group (HKG:1688), will invest RMB5 billion (US$732 million (1) ) over the next five years to further strengthen the Taobao marketplace (www.taobao.com) as the shopping destination of choice for Chinese consumers. 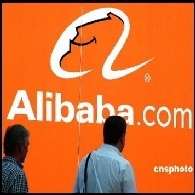 Alibaba.com Limited (HKG:1688), the world&apos;s leading B2B e-commerce company, today announced its unaudited results for the six months ended June 30, 2008.